Lauren Hilsheimer's practice focuses primarily on complex litigation. She utilizes her analytical background to efficiently and effectively meet her clients' needs. 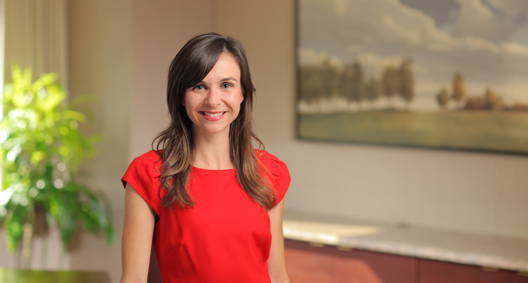 Lauren was named an Ohio Super Lawyers "Rising Star" in 2012, and from 2014 to 2019. Since 2009, Lauren has been a key member of the BakerHostetler team serving as court-appointed counsel to the Securities Investor Protection Act (SIPA) Trustee for the liquidation of Bernard L. Madoff Investment Securities LLC (BLMIS), an unprecedented recovery effort involving hundreds of adversary proceedings. Lauren paused her career at the law firm for one year to clerk for the Honorable Judge Algenon Marbley in the United States District Court for the Southern District of Ohio, where she gained invaluable insight into how the federal courts work. She frequently defends clients in the United States District Court for the Southern District of Ohio, often obtaining early dismissal. Participant in The Legal Aid Society of Columbus’s Bankruptcy Pro Bono Project. Representing a death row inmate in his habeas corpus proceedings in the U.S. District Court for the Northern District of Georgia and the United States Court of Appeals for the Eleventh Circuit.